Author of Be Fit in No Time! Transform Your Body, Mind, Heart & Spirit with Mindful Multitasking, speaker, trainer, lawyer, massage therapist, yoga teacher, and certified wellness consultant whose programs on well-being, work-life balance, change, and stress management combine head, heart and humor. Author of books on body-mind-heart-spirit well-being and Native Hawaiian traditions of healing, Makana brings her experience as a CEO, lawyer and massage therapist to speeches that combine scientific content, heartfelt compassion, and stand-up comedy. She has made more than 1000 presentations in 38 states and internationally. Makana holds certificates in massage, Pilates, Quantum Psychology, yoga and meditation. She is a Certified Trainer by Stanford Forgiveness Project Director Dr. Fred Luskin, and a Certified Stress and Wellness Consultant of the Canadian Institute of Stress founded by Hans Selye, M.D. She is an associate of the Institute’s Vital Corporation, and has co-authored with the Institute’s Chairman, Richard Earle, Ph.D.
You can be more fit and healthy in body, mind, heart, and spirit without taking any extra time. How many of us have felt we don’t have time to exercise, set goals, do affirmations, practice gratitude, meditate, and pray? You can do all those things and more while going about your daily routine at home or work. With Mindful Multitasking, you can create a daily practice to be more healthy and happy in no time. In this interactive program, you will practice physical, mental, emotional and spiritual techniques you can make part of your daily life. You will be entertained, energized and educated about the science behind the techniques, while having fun trying them out. 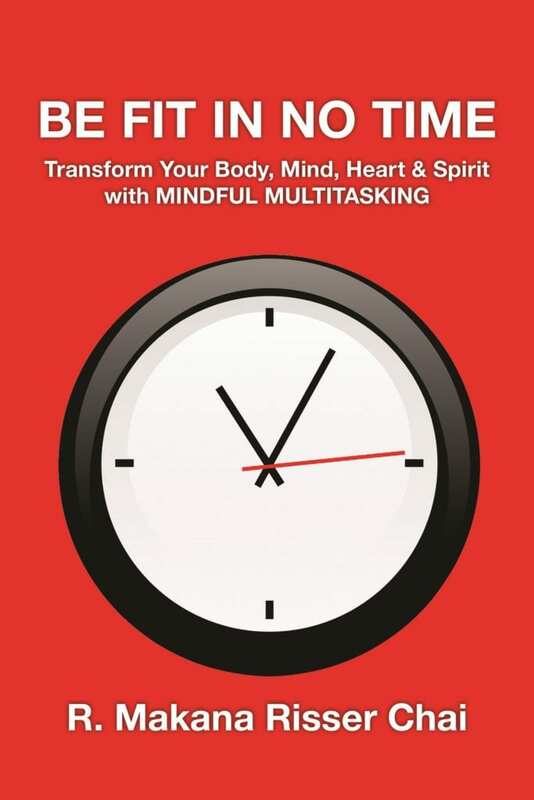 To make the learning stick, every participant can receive a copy of the book, Be Fit in No Time: Transform your Body, Mind, Heart & Spirit with Mindful Multitasking. Help your team go from stressed to best. Decades of research with companies like Shell Oil shows that those who give employees effective stress management techniques reduce absenteeism and turnover, and increase productivity and engagement. “From Stressed to Best” is based on the research and uses the tools developed by the Canadian Institute of Stress, which identifies five stress types and the two most effective ways to reduce stress for each type. You will discover your personal Stress Type and the 5 choices you can make every day to work better, live longer, feel stronger and even look younger. Learn and practice ways to instantly reduce stress anywhere, any time. Combined with more than 40 years of scientific research are insights from ancient Hawaiian tradition. Interwoven with the presentation are funny personal stories from Makana who, like most audiences, lived a highly stressful life for 20 years before moving to Hawai’i. She motivates people to apply what they learn to their everyday lives. Everyone talks about leading change, but not us! Saying you can lead change is like saying you can lead the waves of the ocean. You can’t lead waves, but you can surf. In our program on organizational change, managers and business owners learn how the principles of surfing parallel the 5 best practices proven by research to make change successful. Apply those principles to implement a change process for your organization to surf the waves of change. Our program on individual resiliency teaches participants that change, like the waves, never stops. They see how waves and change are neither good nor bad. It’s our perspective that makes a difference. They learn how to respond to change the way surfers respond to waves—with excitement and joy. “Makana is an outstanding speaker, and engages audiences at all levels. As a keynote speaker, she is clear, concise and impactful. She is able to present complex ideas in a straight forward manner, and uses appropriate humor and stories to support her points.” Jonathan Levy, former CEO, Fair Measures, Inc.